Calling all car enthusiasts! 2006 VZ HSV GTO Limited Edition is in our showroom! Come to the dealership to see this rare black beauty! 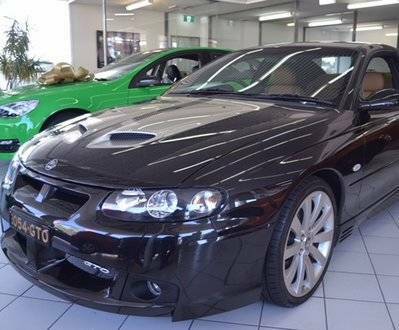 We have on display a 2006 VZ HSV GTO Limited Edition #54. 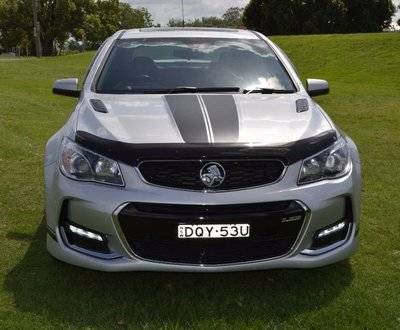 This HSV marks the last in line for the Monaro build and is one of only 387 vehicles built and only one of 50 black GTO's made! Heritage Motors is the home of Maitland Muscle Cars! Heritage Muscle pays tribute to the various locally and internationally built V8 and performance vehicle history in Australia. We specialise in finding those rare vehicles that you might want to enjoy from day to day or put away in your special vehicle collection and show at local car shows. At Heritage Muscle, we have access to hundreds of different vehicles from Holden SS Panel Vans, to HSV Monaro Coupes and more, as well as FPV and Tickford powered Fords. Our team will help you find that rare or special car.